The Conservative party have selected their candidate who will fight for the Wansbeck seat at the next General Election. 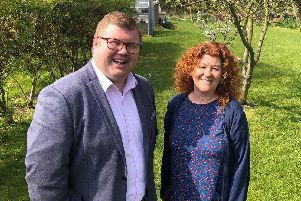 During a selection meeting, Morpeth and Wansbeck Conservatives voted unanimously to select Chris Galley to fight for the Wansbeck parliamentary seat at the election, due to be held on Thursday, May 7. An active member of the Conservative Party in Northumberland for many years, Chris lives on his family’s upland sheep station by Otterburn and outside politics is a keen rugby player representing Border Park Rugby Club as a loosehead prop. Chris said: “I’m delighted and feel very privileged to be selected. I am determined to give the voters of Wansbeck a real choice at the General Election. “Every vote matters. In particular I want to reach out to those who have not voted Conservative before.